The beautiful beaches and pristine waters of Tanjung Benoa are among the best places for snorkeling and diving in Bali. 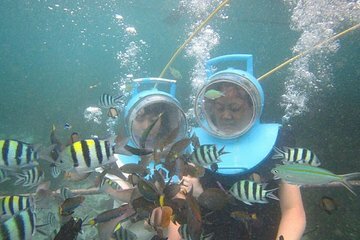 On this tour, experience Bali’s underwater wonders without having to swim—this sea walker tour uses special helmets that allow you to breathe underwater and walk along the ocean floor. After admiring the vibrant corals and colourful reef fish on a sea walking tour, visit Turtle Island, an area known for its many turtles.